Pest Solutions provides an outstanding flying insect control service. You can rely on us to get to the heart of the infestation and provide effective control of all types of flying insect pests. For most people, the main issue with a fly infestation is just how annoying these buzzing pests can be. They get everywhere and however many you might be able to swat, there will be countless more flies waiting to take their place. However, while this is the most visible aspect of a flying insect infestation, the truth is that the hidden dangers pose much more of a risk to your health. Flies don’t have teeth, so they feed by emptying their stomach acid onto food to dissolve it, before sucking the liquidized matter through their straw-like mouthparts. 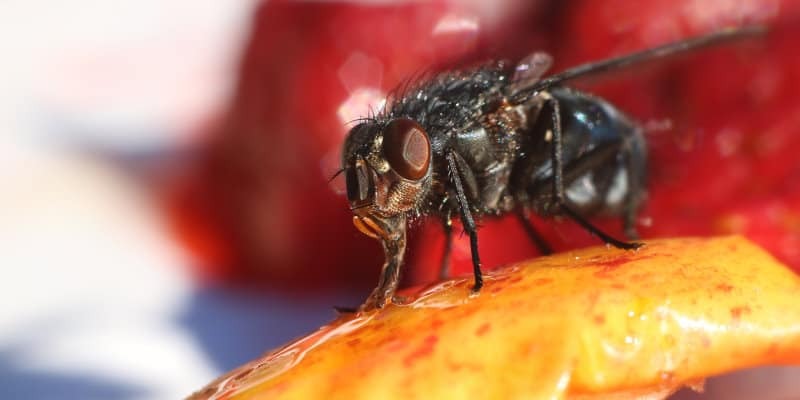 If the fly has been feeding on waste prior to landing on products within a food site, then some of that waste will thus end up contaminating the product. Even if this isn’t the case, though, flies still pose a major health risk- and the control of flying insect pests is therefore an important issue that needs to be dealt with as soon as you notice an infestation. Fortunately, there are a number of different flying insect control methods which can prove to be extremely effective in eradicating an infestation. 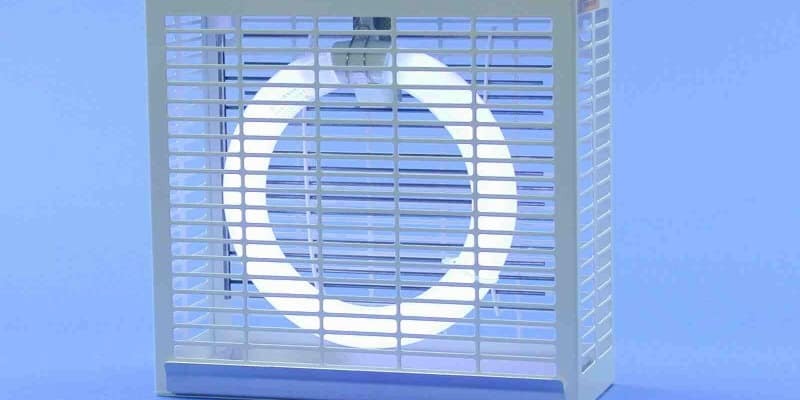 The most common methods include fly control units, fly screens, and strip curtains. 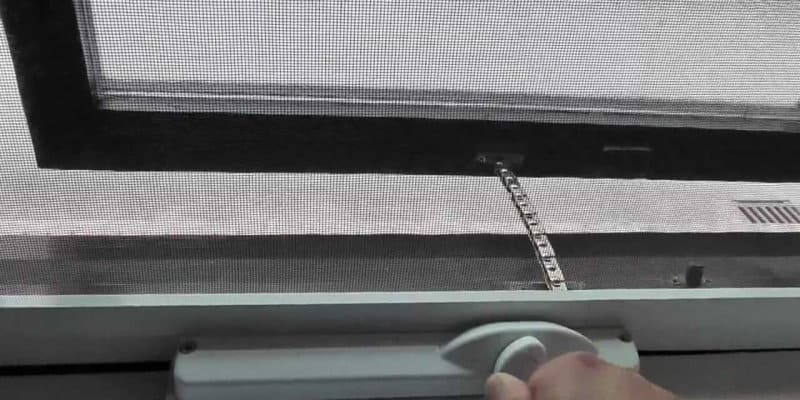 When used properly, these can keep virtually all flying insects out of a particular area and stop an infestation in its tracks. However, these approaches require expert knowledge to be carried out successfully- and that’s where Pest Solutions comes in. Our technicians are all highly trained and have previously dealt with countless flying insect infestations. They will easily be able to diagnose the problem and then come up with a tailored approach designed to suit the unique needs of your property. Rather than leaving gaps for flies to slip through, we will ensure that every last inch is covered. To help you settle on the right approach for your unique needs, Pest Solutions are delighted to offer a FREE survey. One of our expert technicians will be happy to come out to your property at a time that suits you and look over things extremely thoroughly. Not only will this help us to come up with the perfect plan of action, but it also lets us give you a fully accurate up-front quote. When you come to Pest Solutions, there are no nasty surprises- just remarkably effective flying insect control that you can really rely on. To provide top results, Pest Solutions are proud to be a national distributor of Insect-O-Cutor and Pelsis products. These brands are proven for their build quality, styling, ease of service, durability- and most importantly, effectiveness. By identifying the species of pest, as well as the root cause of the flying insect infestation, our technicians will be able to completely eradicate the problem and ensure that these flying health hazards are gone for good. Call Pest Solutions to Get Rid of Flying Pests Today ! Pest Solutions are the flying insect control experts. No matter how set-in the infestation might be, you can count on us to deal with your flying insect problems efficiently and effectively. We know that some people may feel embarrassed about a fly problem in their home or business, which is why we always work discretely, too. To get rid of that unwanted pest today simply call Pest Solutions on 0800 027 2555 to arrange a FREE survey or a service call out. Our professional and discrete technicians are ready to help and advise you, and restore your peace of mind.